(CNN) Lashawn Wilson sat crammed between her 72-year-old mother, her son and her husband in the bathroom of her mom’s home. 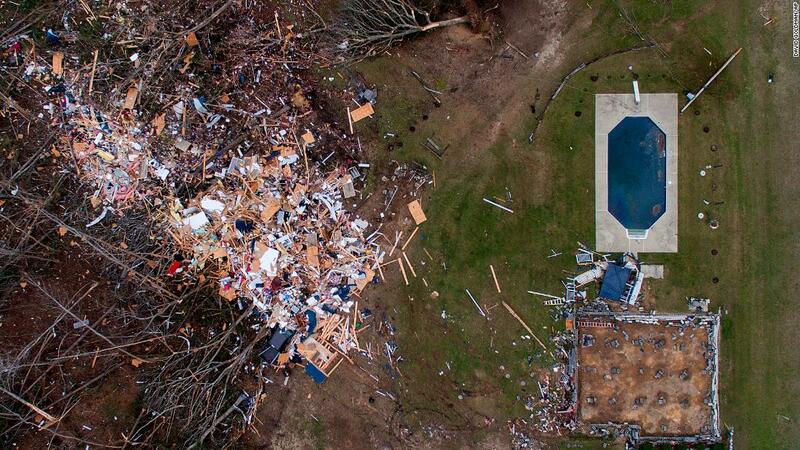 Her family barely had enough time to get to her mom’s brick house from their mobile home when the first alert sounded through the television, warning of 70 mph winds, Wilson told CNN’s Chris Cuomo. 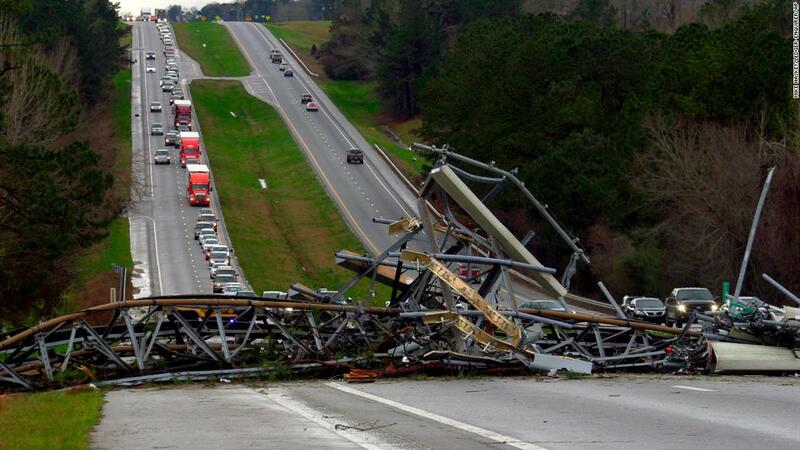 The tornado that ripped through Lee County, Alabama actually carried 170 mph winds. It had nearly a mile-wide track and ground along for 65 miles, killing 23 people. 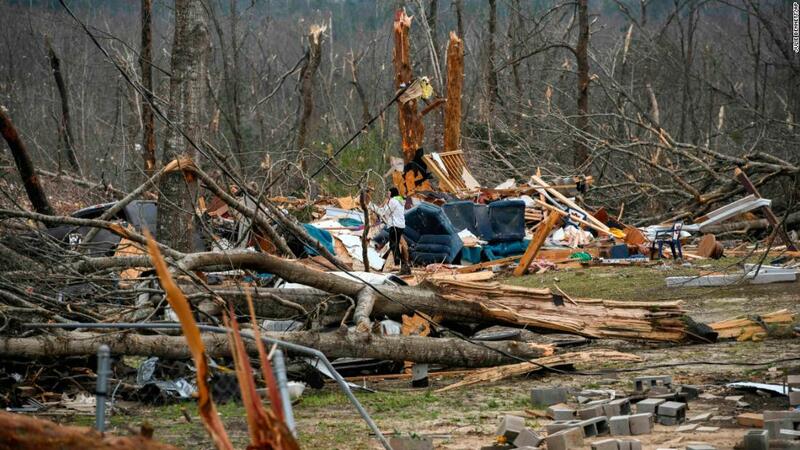 “We lost children, mothers, fathers, neighbors and friends,” Alabama Gov. Kay Ivey said Monday. 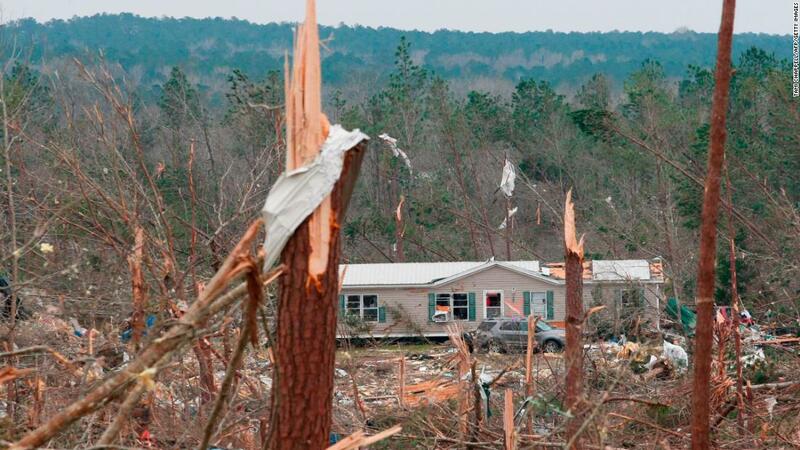 Its path of destruction looked “as if someone had taken a blade and just scraped the ground,” Sheriff Jay Jones said Monday. 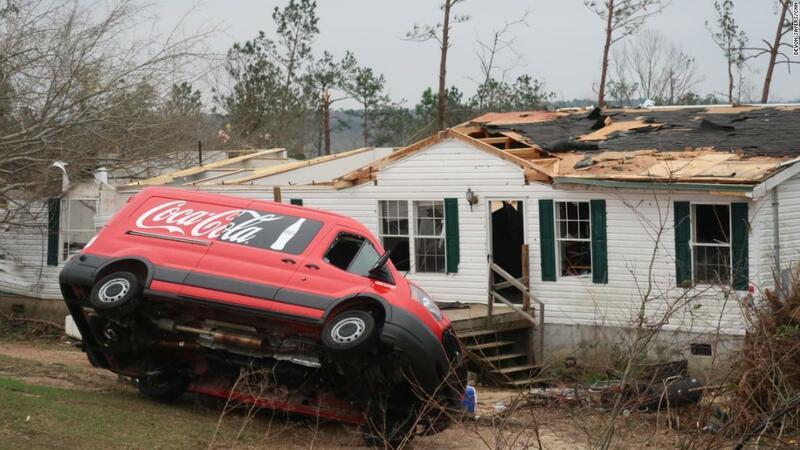 And it wasn’t the only tornado to hit the ground. 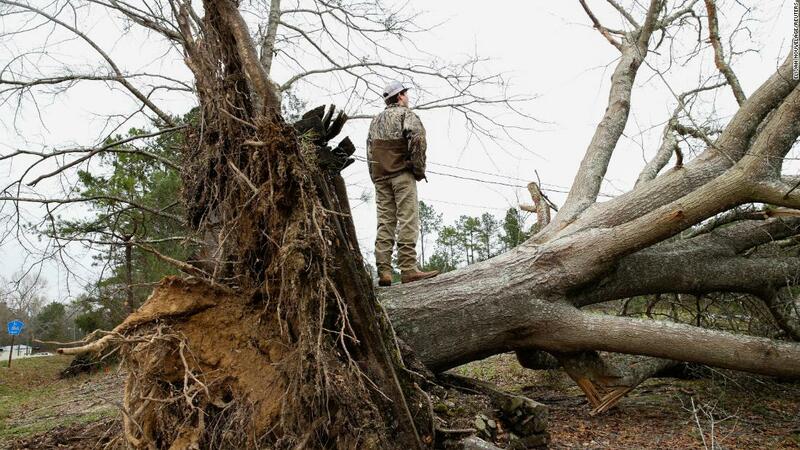 Two EF-1s also hit the area, one in Lee and Macon counties and another in Barbour County to the south. 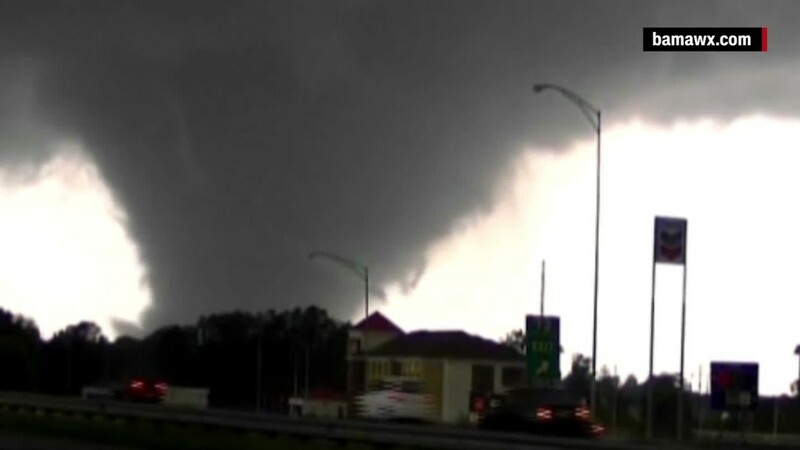 Tornadoes are measured on the Enhanced Fujita scale — named for the weather researcher who developed it — from 0 to 5 based on intensity and damage caused. Seconds after Wilson saw the first alert Sunday, the electricity went out. She grabbed her mom’s portable oxygen tank and shut herself in the bathroom with her family. 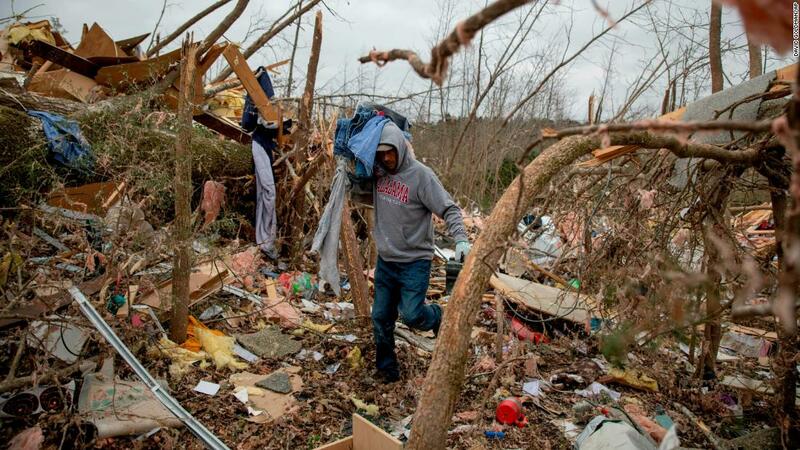 Another survivor told CNN her boyfriend suffered broken bones and puncture wounds as he clutched tightly to a couch as winds lashed their home. 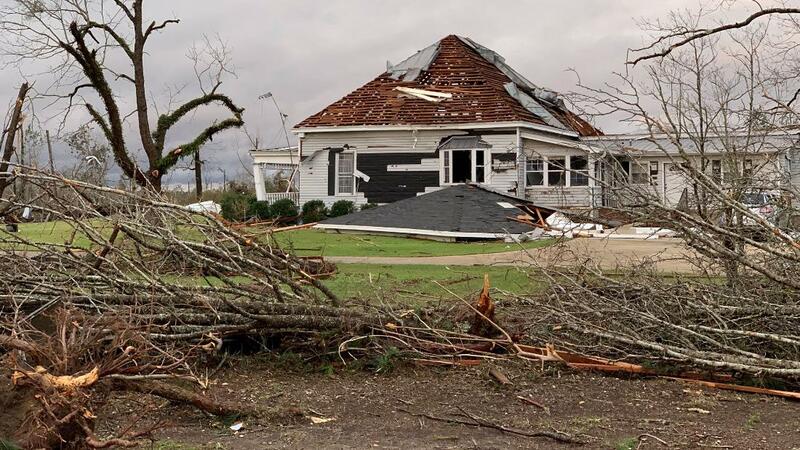 Ivey extended the state of emergency that had been issued last month due to tornadoes and severe weather and made a request for a federal major disaster declaration. 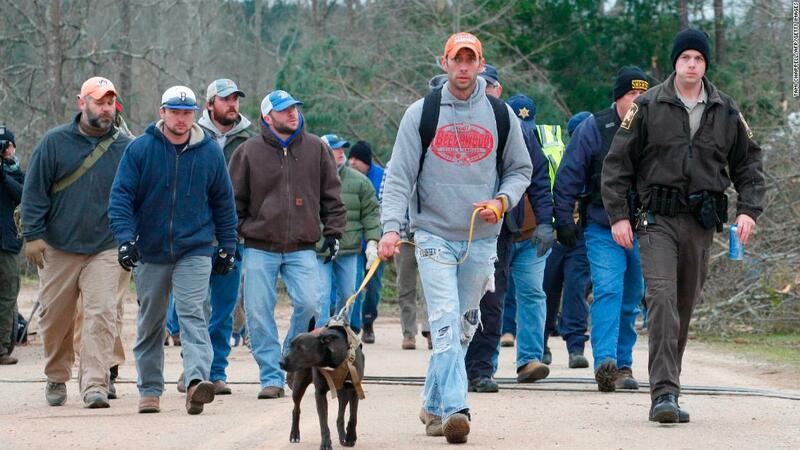 Rescue efforts will continue Tuesday. 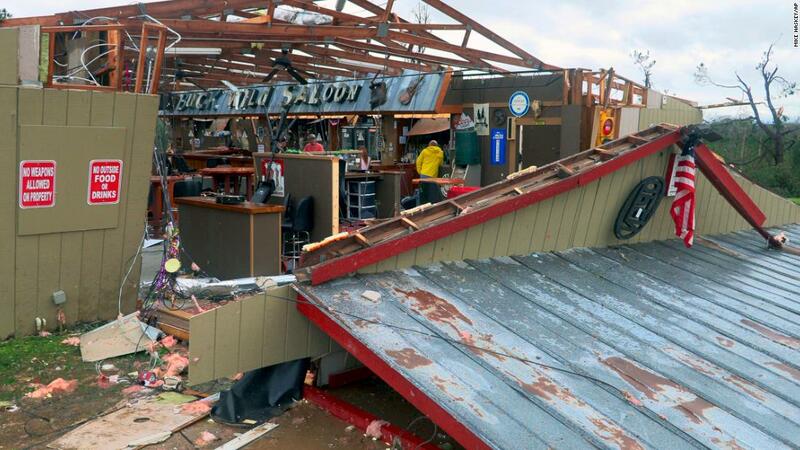 Crews have been searching through ravaged homes and rubble in the hardest-hit areas. 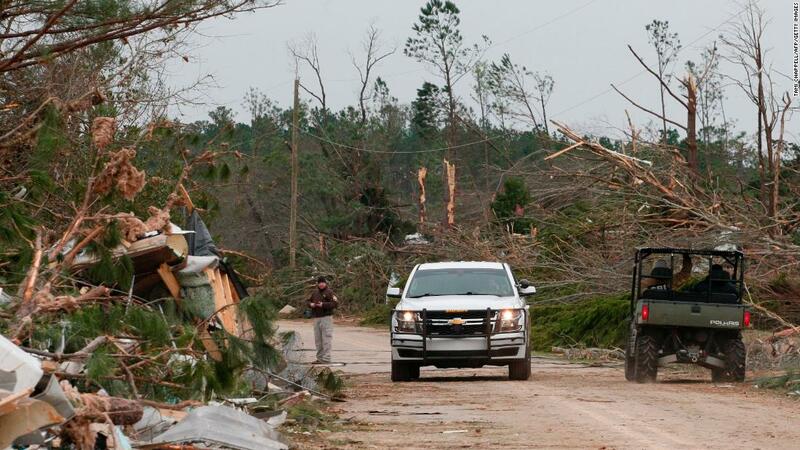 The death toll may rise after some areas are searched again, Sheriff Jones said, according to WSFA. About a dozen volunteers from Louisiana’s Cajun Navy traveled to Alabama Monday to help with recovery efforts, according to CNN affiliate WAFB. 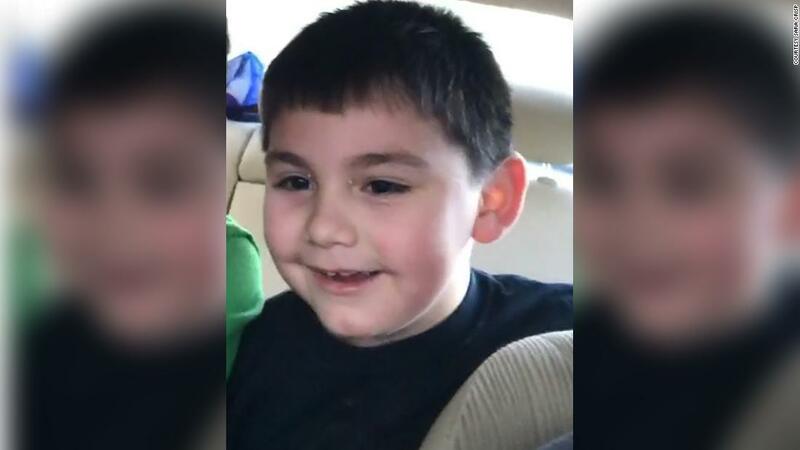 Those killed include children — among them a 6-year-old and an 8-year-old — and adults. It’s still unknown how many people were injured, but more than 70 people were treated at nearby hospitals. A spokeswoman for the University of Alabama at Birmingham Hospital said patients admitted there suffered conditions ranging from serious to fair. “It’s just unreal,” Wilson said, still in disbelief. 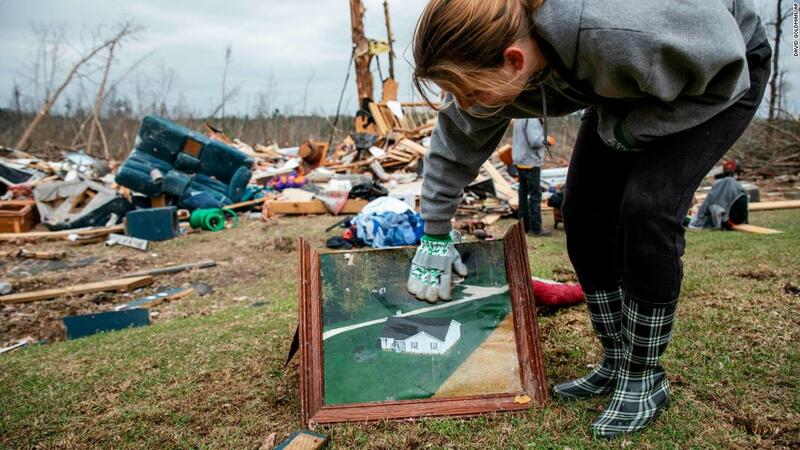 Her life, and small Alabama community will never be the same. 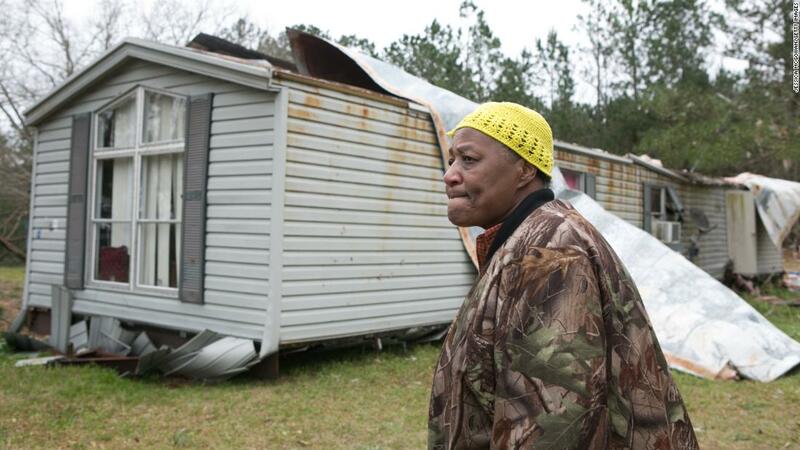 Lee County, she says, is a rural, tight-knit community. The county has a just more than 160,000 residents — nearly 22% of whom are living under the poverty line.